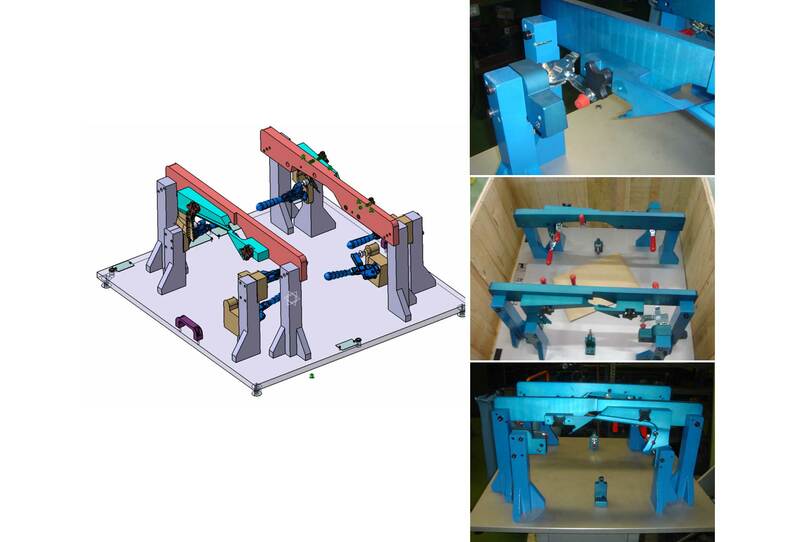 The use of removable control blocks enables to get access to all the part for a complete measurement by CMM machine. A series of characteristics that can be controlled as much by Go/No Go controls as by dial indicators have to be checked on door pockets in order to ensure their proper fitting on the car doors. Our checking fixtures are produced in aluminium, the components submitted to wear-and-tear are produced in steel. Tolerances for RPS (fixation points) and dial indicator points: ±0.05mm. Tolerances for simulation blocks: ±0.1mm. Minimum documentation: dimensional report of your checking fixture, 2D assembly drawing, assembly CAD. Optional documentation: R&R report, user manual, stabilization certificate.